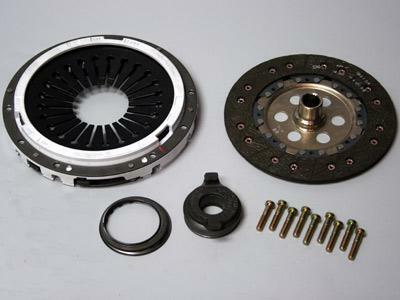 The Evolution Motorsports Stage 1 Clutch Kit is designed as a direct replacement for the OEM clutch system. The pressure plate has about 20% more clamping force and will support up to our 600 HP stage 4 power upgrade. This clutch kit utilizes all OEM Sachs components and offers 100% smooth engagement for daily drive ability and only a slight increase in clutch pedal effort.